I had something odd occur today which I didn't realize until I just had it happen again. 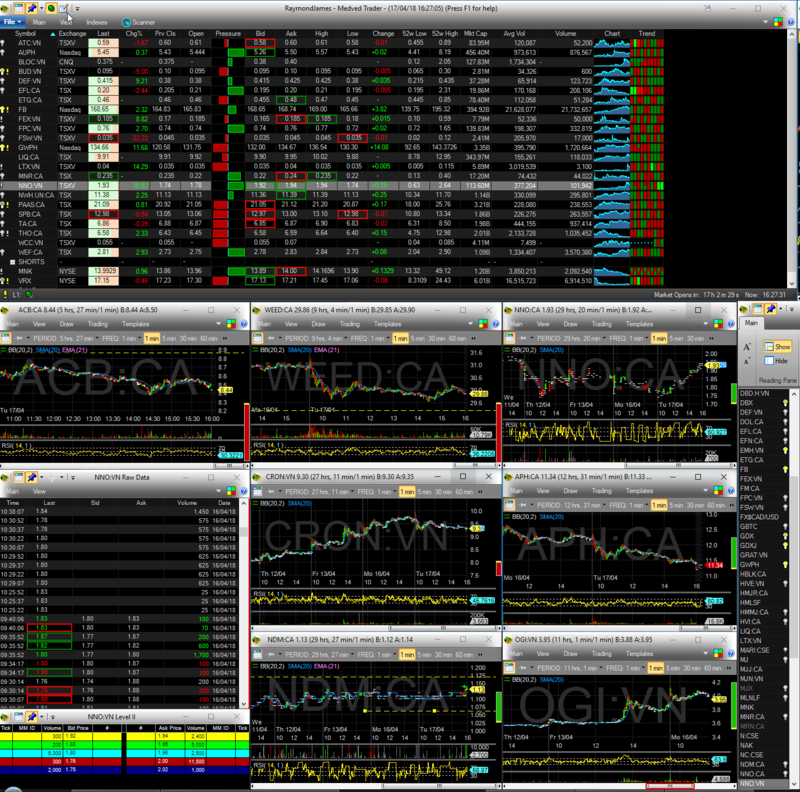 Earlier today I had a bunch of alerts pop up for FB which I have in a portfolio I have had open all day. It occurred when I clicked on the stock symbol ie activated it. Let me know if you want a backup or support upload sent. FYI I have switched multiple times throughout the day between this portfolio and others but never closed the portfolio. It was open when this occurred as well. Could I have something misconfigured stopping updates unless the symbol is active? Just found another symbol with the same issue. ATC. Price in portfolio was 0.59 before I clicked on it. sounds like your portfolio is not getting data. When you click on a symbol, the linked charts switch to that symbol causing backfill, thus the updates that you are seeing. Your screenshot did not show the quote source. Either the source is wrong, or you are trying to track more symbols than are supported by the quote source. Hmm wonder if I have to many symbols in my porfolio as some of the symbols in the portfolio were ok which I hadn't selected today. I'll have to take a look what stockwatch supports. 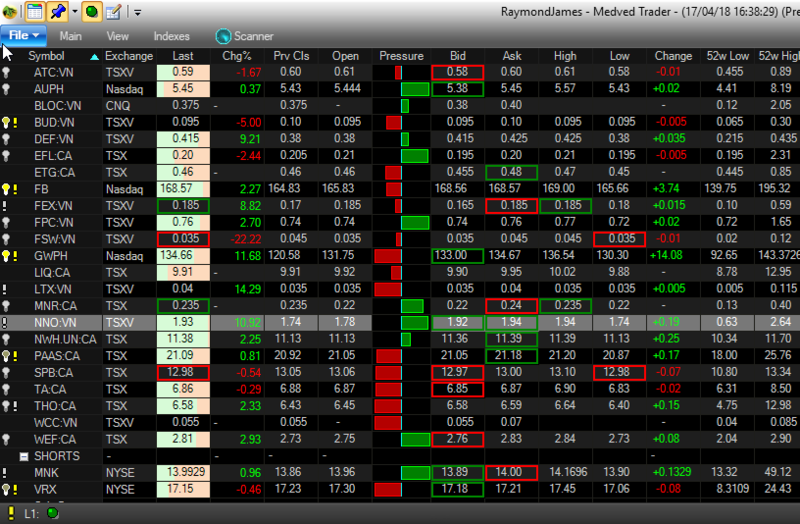 stockwatch supports various # of max symbols depending on your account. 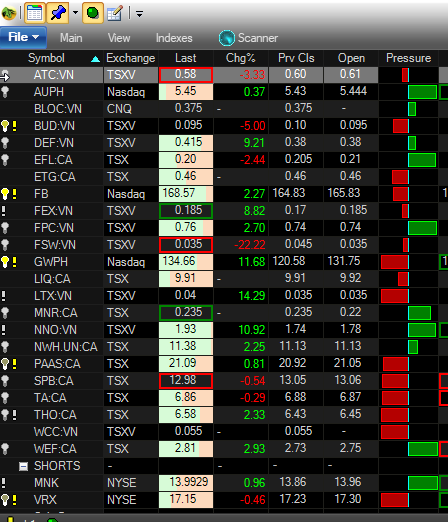 BTW, using stockwatch and have a total of about 110 symbols in open portfolios. Seems like from this I shouldn't be hitting any stockwatch limitations should i? I'll shoot them an email and confirm the max number of portfolio entries of 300 applies to the external data feed Medved is using. You beat me to it lol. I did set logging to 200 before I selected the ATC symbol above if you want to look at the backup. I am not saying you are - that is just one possibility. You can see how many are actually used in MT by looking on the dashboard - SOURCES view. Hmm, that is odd. the alerts are a symptom of the issue, not the cause. basically, some symbols seem not to be streaming. If you see that happen again, please send me the log when you see the situation, and indicate exactly which symbols you saw that happen to. I just added two backups to our dropbox share. also screen shots related. 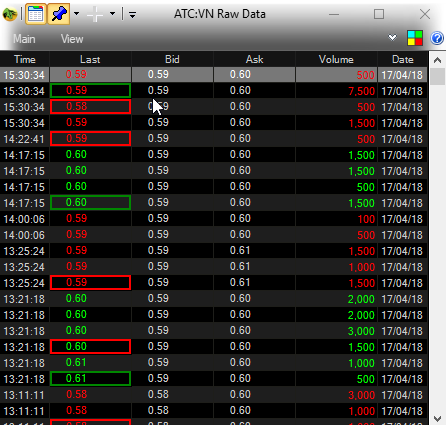 Backup 1 from yesterday should have the nno logging info but on level 10, ATC was set to 200 when I click on it and had the alerts and change in price. Backup2 2 from today, LTX and MNR, clicked on and the alerts went right as I clicked on them. It seems like some alerts are not even coming up at all until I click on the symbol. This example illustrates it well. GRAT:VN. there was no alert for the price change when it occurred but when I clicked on the symbol the alert popped up. I clicked on the symbol at 12:30:58 which you can see in the alert window, but the price was stable since 12:29:20. @makincash this was a legitimate alert. Price didn't change, but you just backfilled, so a new quote, even at the same price, can now trigger the alert since it was not a plain trendline cross alert but rather a Move X in Y time alert. since we updated some stuff there with trendline alerts. If still having an issue, please start a new thread (or email) and indicate the exact problem. Isn't medved supposed to backfill and catch up when the app is launched so long as the symbol is in an open portfolio? This was an example of that case then I went and clicked on the symbol and it still was creating the alerts. Pretty sure Medved was open for a qhile before I clicked on the symbol. 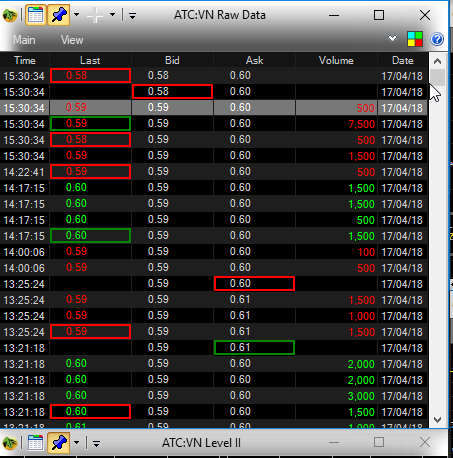 No, auto backfill occurs if chart is opened or symbol changed on chart. If the symbol is just in the portfolio but not on the chart when the app is opened, then no backfill will occur. 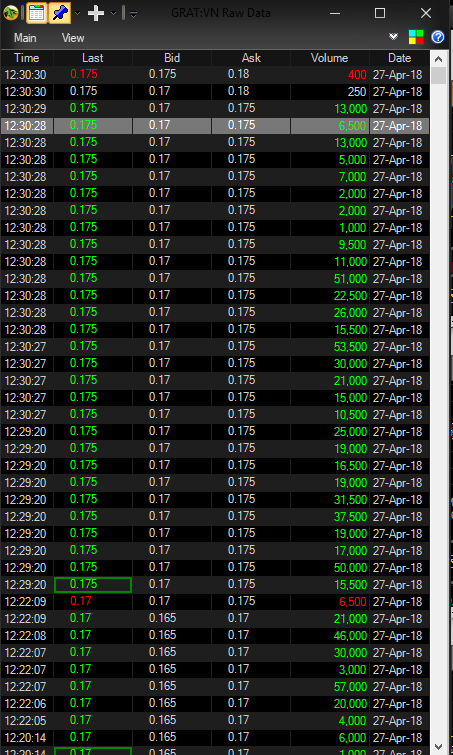 K, so if I have percentage alerts eg 5 or 10 % across my stocks of an open portfolio, should I expect those to go off when medved is open and running or would I need to go and click on the symbol to get them to go off? or should it do both. I opened Medved and two alerts went off for BUD:VN as everything started loading about 20 minutes ago as I had quit medved and reopened it. for 5 and 10% change. Then I just clicked on the symbol BUD:VN (which is a symbol in an open portfolio) and the two alerts went off again. 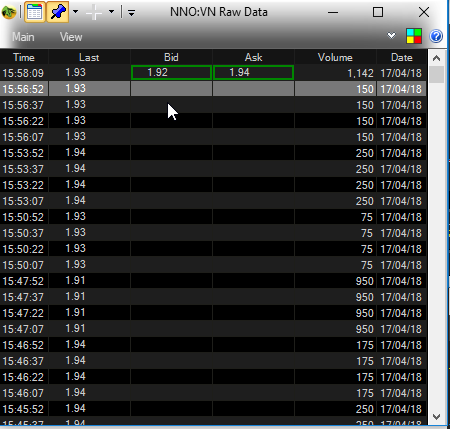 There is only one buy/sell at 9:30 am on the raw data. Not sure what up I was going to post the alert window screenshot but keep getting a message I can't post a file bigger then 30.72 kb. Hi, This is still occurring everyday. It seems like charts aren't staying up to date until you click on the symbol in a portfolio. it sounds like you have some charts linked, so when you click on a symbol, the linked chart switches to the symbol and backfills. If that is the case, then your quotes in the portfolio are not updating. That would mean that either the quotes are stopped or you are trying to get more quotes than what your quote source allows. (most common issues). Please recreate the issue for a couple symbols - click, etc. then send me the log and indicate in the comment when sending - which symbols you clicked on. I don't know what your alert is but in general the alert will only fire if the event occurred while you were running and RT quotes come in. If it only shows because of backfill or happens when the alert is not active, it will not trigger. Not for regular alerts. However, you can do a scan that returns gaps as a result and just run it WITHOUT filter option. Then you can see in the Scan result column the symbols that gapped, or can set an alert on the scan.